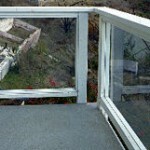 Prestige Cypress Ca deck repair is proud to be the best deck and waterproofing company to serve the Cypress Ca area. We are also extremely proud of the fact that most of our deck and waterproofing technicians have been have been in the deck coating industry for over 28 years. Very few other repair companies in our industry have that type of employee loyalty. 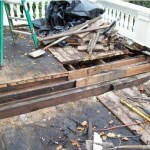 This is just one more reason why you can expect your deck waterproofing and repair in Cypress Ca to be done right. Waterproof Repair. 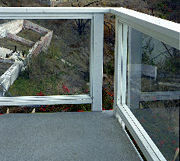 Prestige Deck Coating Cypress Ca Deck Repair offers the toughest waterproof deck coating available. We integrate metal lathe and polymer modified concrete so you can rest assured that you are getting a deck coating so strong and sturdy, that it is often referred to as being indestructible. Protect your deck coating and waterproofing project in Cypress Ca and achieve peace of mind by using Prestige Deck Coating and repair in Cypress Ca, on your next project. Make sure your Cypress CA deck repair is looking its best for your next summer party. A flawless coating repair is crucial for entertaining guests and bringing the family together on a sunny afternoon. We have numerous types of colors and finish textures to choose from, creating a total of 48 different color/texture combinations to better fit your home. Technologically Outstanding. Outstanding and unique technological breakthroughs in polymer chemistry have been made to improve your deck against water leaking and increase the lifetime of your deck or exterior flooring. Prestige Decking and repair in Cypress Ca offers this affordable service to the general public, as well as the commercial or industrial property owner. No other deck company can match our waterproof deck coating system. Unlike other deck companies we not only use two layers of polymer based concrete, but add a layer of bonder sealed fiberglass, to make sure we have the most durable decks in town. Our fiberglass and bonder layer penetrates deeply and permanently into the polymer modified concrete, sealing out all air and water. 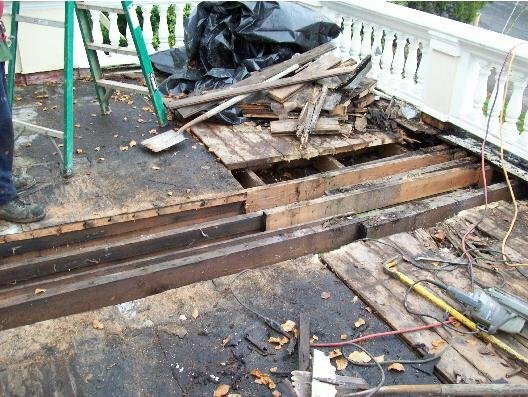 Don’t let any other companies fool you, Prestige Cypress Ca deck repair is simply the best deck waterproofing business in Cypress Ca and Orange County. With our Cypress Ca deck repair, you can welcome the rain! Fancy Finish. We offer about 16 different types of color and finish textures, so your new deck will fit the look of your home. This is a perfect time to repair your deck before the winter rains are here. All our estimates are free so give us a call and we’ll come inspect your Cypress deck. Prestige Deck Coating will address any potential problems before they start, which is key to stay away from serious water damage issues. Our Cypress Ca Deck Repair estimator will let you know if your deck is ready for repair or resurfacing, as well as notify you on decking installation details.